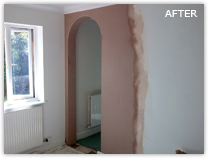 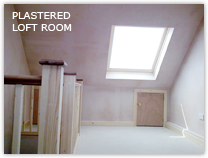 An example of a plasterboarded and skimmed loft room in Faygate RH12 and a before and after shot of the creation of an interior arched doorway, flexible UPVC beading and a plastered finished in Horsham RH12. 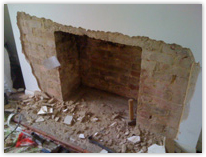 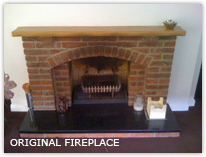 A project undertaken in Crawley to remove an original 1960s fireplace. 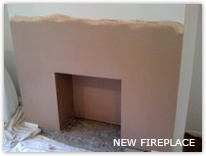 The second shot shows the fireplace removed ready for heat resistant render and the final photo the finished plastered fireplace ready for a modern log burner. 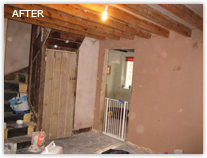 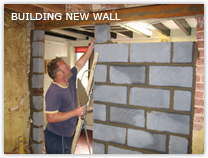 A lightweight interior block wall built for a customer in Reigate mid-construction and the same wall with a floating coat and plastered. 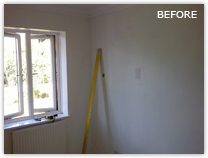 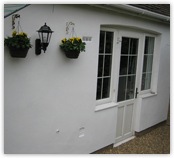 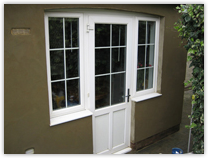 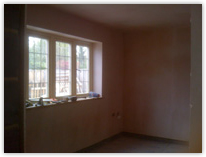 The final photo shows a new build 'Dot and Dab' with a plastered finish in Redhill.